In the tradition of Catherine Marshall, Pepper Basham ushers readers into Appalachian life. From the beauty of the land, the music, the stories, the prejudices, and distrust of outsiders, My Heart Belongs in the Blue Ridge is a love story to the culture and people. The love growing between Jonathan and Laurel is wonderful and authentic, falling into place naturally, even when circumstances try to force it. 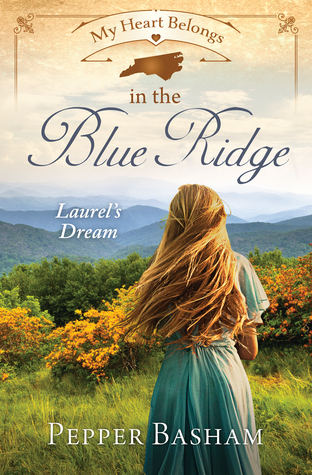 But the true love story in this book is to the Blue Ridge Mountains and the people who live simple yet full and fulfilled lives. I think it’s safe to say that whether she’s writing contemporary or historical, Pepper Basham is an author not to miss.